Mrs. Amarjeet Rewari holds a Masters Degree in Applied Psychology from the University of Bombay; Diploma in Personal Counseling and Diploma in Trainer of Counselors from St. Xavier’s Institute of Counseling, St. Xavier’s College, Bombay. She has over 50 years’ experience as a practicing psychologist and has been a leading figure in the shipping community for more than 40 years touching two generations of seafarers in a profound way and transforming the face of Indian shipping. Mrs. Amarjeet Rewari as the Chairperson of ARI anchors the organization and provides vision, astute advice and guidance to the team. CEO & Managing Director of ARI, Mr. Shravan Rewari, is an alumnus of Campion School; St. Xavier’s College; DMET (MERI) in India and Stanford University, CA, USA. 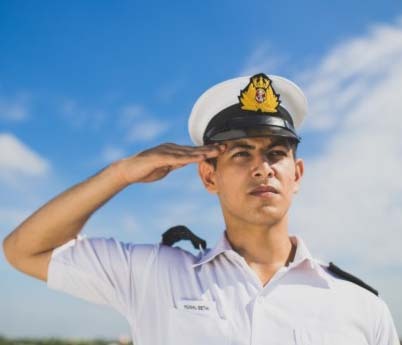 Mr. Rewari has a background in marine engineering at MERI Calcutta securing an All India Rank 1 and after working with the Shipping division in Mobil as a qualified Chief Engineer in ascending capacities pursued his graduate study in Robotics and Control Systems from Stanford University, CA USA. He has continued interest in virtual reality and robotics technologies and their application in the creation of innovative immersive learning solutions to enhance human potential. As a co-founder of ARI, he has pioneered the development of indigenous Simulators in India and leading ARI on the path to becoming the world class simulation technology company. Under his leadership, ARI is one of the largest global providers of Simulation Products and Solutions across a range of industries including marine, offshore, ports, energy, logistics, defense and airports. As the CEO & Managing Director of ARI, Mr. Rewari spearheads the Strategic Business Development and leads the Engineering and Technology divisions of the Company worldwide. Naomi Rewari is currently the Head of Operations of ARI USA. She holds a post graduate degree in Psychology from the University of Southampton, UK. Naomi is a member of the top management team and the Board of Directors and contributes to key strategic decisions and high level monitoring of the performance of the company. She liaises at a high level with key international clients and develops the business through encouraging global links with individuals, organizations and bodies associated with the company. Besides heading the Human Resource team she oversees the educational services provided by the company. Currently Naomi heads the business operations and activities of ARI US office.